Download WebTitan image for VMware®. Find out which VMware® product is right for your organisation. Using your version of VMware® load the WebTitan image. 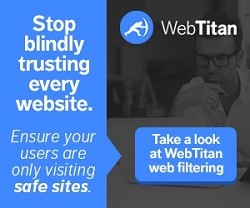 Configure WebTitan and Protect your network. Experience the benefits of virtualization its easy and risk free with royalty-free virtualization products from VMware.